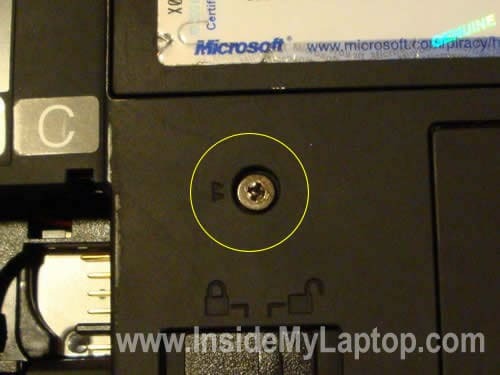 Turn the laptop upside down and remove two screws securing the keyboard. 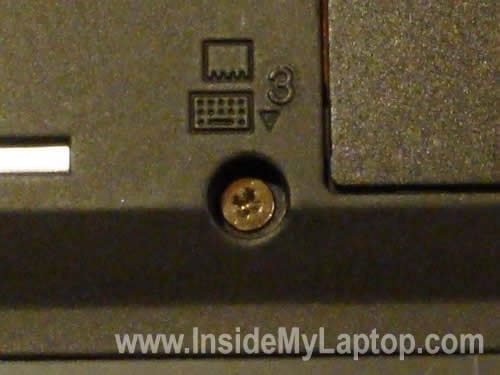 On a ThinkPad T30 both screws are marked with two small triangles as you can see on the picture below. On some other models the screws are marked with a small keyboard print. 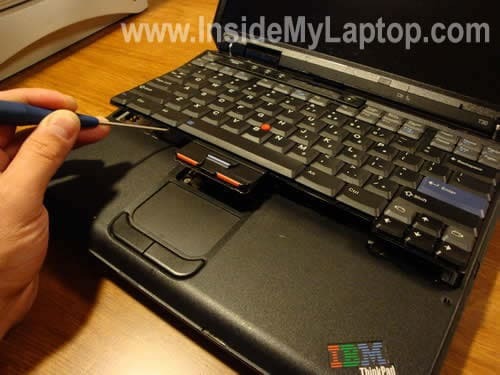 Insert a small flathead screwdriver between the keyboard and palm rest and carefully lift it up. Remove the keyboard and place it on the palm rest. It is still connected to the motherboard. Carefully unplug the cable from the connector on the motherboard. Now you can remove the old keyboard and replace it with a new one. Most IBM parts have a FRU number on them. 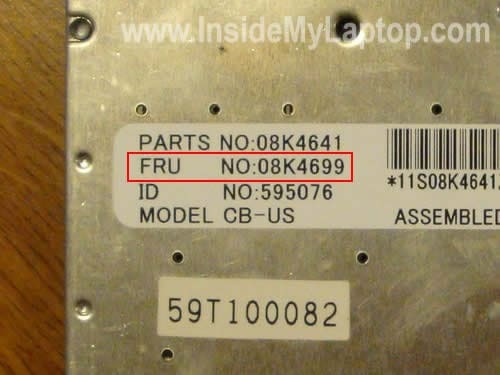 You can find a new keyboard for your laptop if you search by the FRU number printed on the back of the original one. 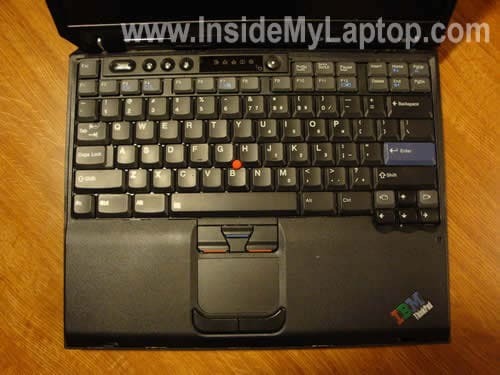 There could be more than one keyboard that fits your ThinkPad and they could have different FRU numbers. How do you put back a key on the keyboard? I had to remove my delete key cause something got stuck under it, but now I can’t put it back on. Help? 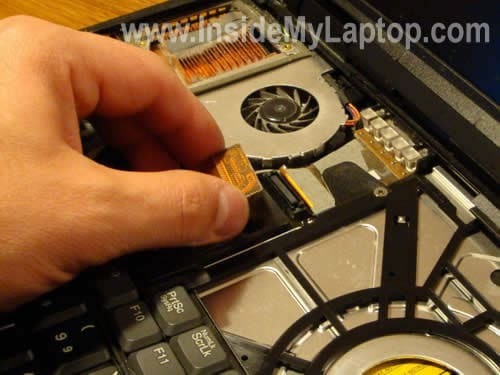 Very useful for me.how about some pics of how to replace a system board!!! 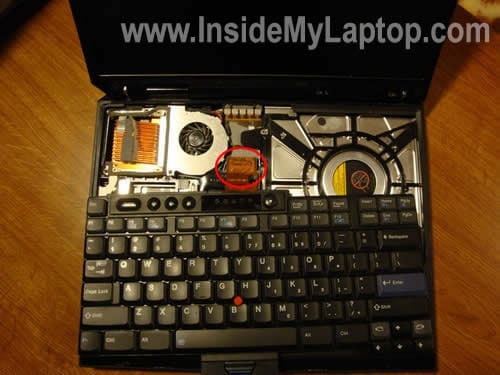 “L” button on my IBM Thinkpad T30 is not working, any idea how to fix it? Been trying to take out the key and put it back but still won’t work. Really really need you help. I doubt you can fix the failed key. You’ll have to replace the whole keyboard. How to replace the fan in the T30? I replaced the key board but, cursor doesn’t move. Why? Are you talking about the touchpad? Check laptop settings, maybe it’s disabled in the control panel. Thanks a lot for these instructions. They worked perfectly. A suggestion: The keyboard can best be raised by putting the screwdriver under one of the buttons with the red line (above the touchpad). 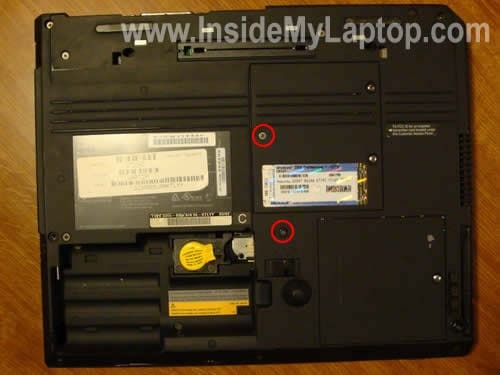 My laptop lenovo T60 keyboard is not working and starts giving a beep as soon as it is turned on and keeps going. what may be the possible cause. How to rectify and solve. Sounds like a stuck key on the keyboard. You cannot fix it. You’ll have to replace the entire keyboard. Should not be difficult.